Beer drinking sure has changed since I was a kid. No, I didn’t drink beer back then (though I did drink coffee). But beer marketing is very pervasive, and even at a young age, I paid close attention to what the grown ups drank. They drank mostly pilsners: cheap, industrial brews that were very unlike the craft beers my friends and I drink today. So why has beer drinking changed so much in this this country? Lets take a look. Craft brewing has grown by leaps and bounds in the last decade. I think a lot of it has to do with smoking bans. Just a decade ago, you could smoke in most every bar. Now smoke-friendly bars are the exception to the rule. In the bad old days, everything in the bar tasted like acrid smoke. With bar patrons unable to taste their drinks, beer became a commodity, differentiated only by marketing campaigns. Once the smoke dissipated, people could start choosing beers based on taste, rather than branding. Craft beers are more expensive than mass-produced lagers. This is a hard fact. Go to the beer aisle at the grocery store and see for yourself. And yet, I’ve seen posh country clubs with nothing but Bud and Miller and seedy dive bars with Stella and Chimay. What gives? It’s a generational divide. Because they grew up with a extensive selection of quality beers, young people are more likely to enjoy craft beers. On the other hand, older drinkers who grew up with a limited, post-Prohibition selection are fine sticking to the beers they’ve drunk for years. Beer is not the only market that has widened in the last few years. The rise of the Internet has made it possible for small businesses to carve out a niche in existing markets. This has led to a concept called the “long tail”. In a long tail scenario, two or three big companies dominate a market while dozens of smaller competitors hold their own. The beer market is a perfect example of this phenomenon. 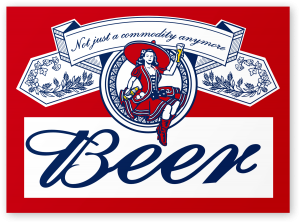 Of course, as the older Bud-and-Miller drinkers die off, the “short head” of the market will erode away. 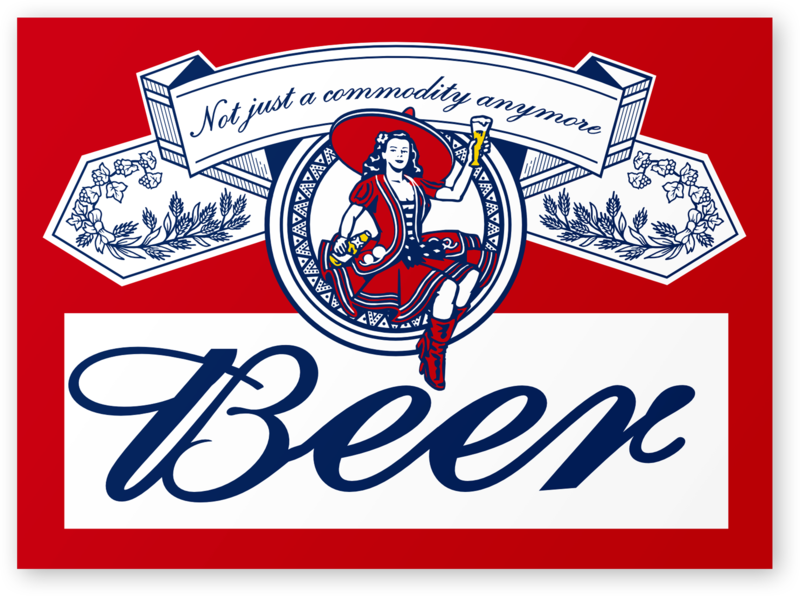 That’s why the big beer conglomerates have been busy buying microbreweries for years. Chances are that craft beer in your hand is made by InBev or MillerCoors. But in any case, it’s still delicious. And even if a few companies dominate that market, I’m still glad for a choice of beers. So let’s raise a glass to craft brewing. Prost!